With spring break upon us and summer approaching, we love the idea of being able to include your elderly loved ones as much as possible. Read this great article by Lisa Price, M.D. with tips for traveling! In the U.S., we really enjoy vacations. We made 1.7 billion trips for fun in 2015, according to the U.S. Travel Association. 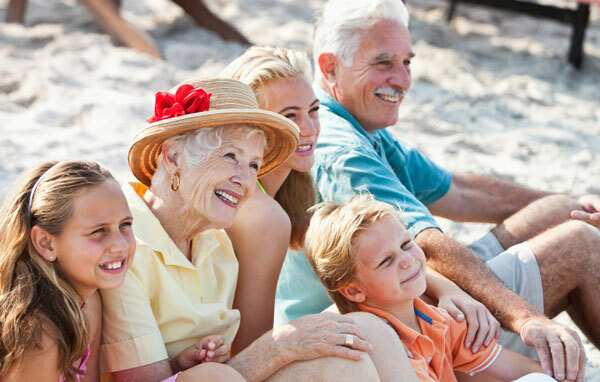 Whether we fly or drive, many of us take family—especially parents or grandparents—when embarking on a vacation. With so many excursions each year, it’s easy to see how they may be a significant endeavor and present challenges for older adults and family caregivers. To help make short jaunts and long vacations a success any time of the year, here are three tips to help make the break more enjoyable and less stressful. Honest and open communication between the caregiver and older adult is the place to begin. It’s important to ask–don’t tell. What are your hopes or goals for this trip? What are your worries? It’s extremely important that the caregiver and the older adult participate equally in the discussion. A shared decision-making model is effective when physicians work with older adults, and also can be helpful for family caregivers when planning a family trip. Above all, be patient and compassionate to produce a conversation with a positive tone. Once establishing positive and open communication, it’s time to dive into the minutiae of the vacation. Ensuring you bring the right medication, and enough of it, is essential. Talk with your loved one to find out how you can help them get all their medications together in advance. 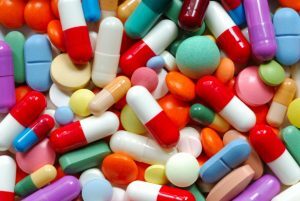 Adults 65-plus take an average of four or more different prescription medications each day, according to a 2005 report published by AARP. It is a good idea to bring a medication list, the name and phone numbers of your doctors and pharmacy. If traveling in the U.S., some chain pharmacies allow prescriptions to be filled remotely, which is extremely helpful if medication runs out or is lost. Be aware that some locations may not have pharmacies readily available and some medications may be more complicated to get refilled. If your loved one is on oxygen, or if there are other concerns, consider arranging an appointment with your loved one, her healthcare provider and you to plan exactly what arrangements or medications will be needed during the trip. For many older adults, losing their independence is extremely upsetting. As we age, many activities we did with ease when younger become more difficult and, potentially, dangerous. Something as simple as walking can be a significant challenge. Since vacations and walking seem inextricably linked, plan in advance for any mobility needs the older adult may have. Difficulty walking often leads to falls—2.3 million adults 65 years and older fall each year—which leads to injuries and hospitalizations, according to the Centers for Disease Control and Prevention. tiredness, which often accompanies long flights and car rides. If you’re considering a new mobility device, call your loved one’s primary care physician to make an appointment. Make sure the device is appropriate and fits your loved one. To cover the purchase, you may need a prescription from the physician. A significant vacation-related issue is convenience, especially with walkers and wheelchairs. Should the walker be taken on the trip? Can one be rented at the destination? Is the rental car trunk large enough to fit suitcases and a wheelchair? Will the loved one use the walker if you bring it? All are vital questions to discuss with your loved one. required prescription or over-the-counter medications. The goal is to have a great time with as much relaxation or adventure as the caregiver and older adult can handle. Considering each tip before embarking on the journey helps ensure a fun, safe time for all. Lisa Price, M.D. is Chief Medical Officer at Denver-based InnovAge, a provider of health and wellness services for older adults in California, Colorado and New Mexico. Dr. Price was a private practice geriatrician for 11 years, and then attended on the Acute Care of the Elderly service and taught Quality Improvement at the University of Colorado. Dr. Price is Board Certified in Internal Medicine and Geriatrics, and has expertise in managed care, electronic health records and quality improvement. http://MyInnovAge.org and http://InnovAgeCares.com.